Why do we fish for Salmon in the ocean, but also in freshwater? 1. Salmon are one of few ‘anadromous’ species in the world, meaning they live in either salt water or fresh, but at different stages of life. 2. Imagine traveling from Earth to the moon. You would need to change everything about you in order to live, breath and function there. Salmon do this. They are an incredible species which adapts to new environments every time they migrate from one type of water to another. These metabolic changes occur at either end of their migration cycle, demonstrating how fascinating they truly are. 3. Salmon classify as a family of fish called Salmonidae, which includes Trout and Char. A young Salmon sports a splotched colour on its sides for the first three years of life and then it develops a silver tone when it leaves for the ocean. How far do Salmon travel in a day? 4. A young Salmon remains in the river where it was born for the first one to three years of life. Then it swims to the ocean, returning later only to spawn. 5. 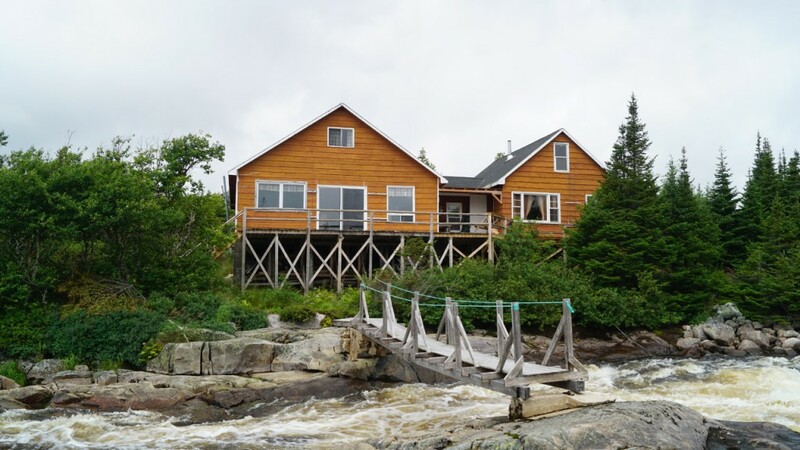 At Mecatina, a premier, world-renown fishing resort in Quebec, anglers fish Atlantic Salmon from retaining pools and deep runs as the fish migrate upstream. During migration, they travel about 30 miles a day. To reach Mecatina, they fight turbulent currents, covering thousands of miles during their excursion from the ocean. 6. Adult Salmon are excellent jumpers and can ascend turbulent rapids to reach freshwater pools. Researchers have discovered that these magnificent creatures can traverse over 3,200 kilometres to reach their spawning ground. 7. Only a small percentage of salmon stray from the river where they were born in, to spawn. Out of the innumerable salmon born and traveling to the ocean annually, the vast majority survive through spawning and maturity, finding their way back home. Researchers believe that a keen sense of smell coupled with an ability to internally map the magnetic field of the waters, currents and tides enable salmon to navigate their way back home. 9. Female salmon lay countless eggs into small depressions, which they make in riverbeds by digging with their tails. They lay anywhere from 1,500 to 10,000 eggs at once, making depressions large enough to accommodate them. The male joins his partner to help fertilize the eggs. Afterwards, the female buries them in the beds. Research indicates that less than 10 of these eggs will actually produce salmon surviving into adulthood. Where do I find Atlantic Salmon in Canada? 10. 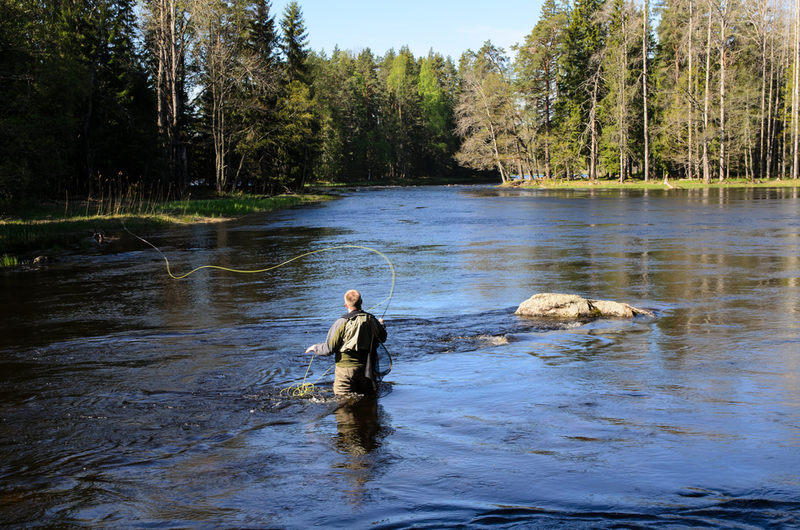 Canada Fishing Trips are famous for Atlantic Salmon in Quebec and the Maritime provinces of Eastern Canada. The Municipality of Pourvoirie Mécatina is on the Lower North Shore of the Gulf of Saint Lawrence, near the border of Labrador in Quebec. 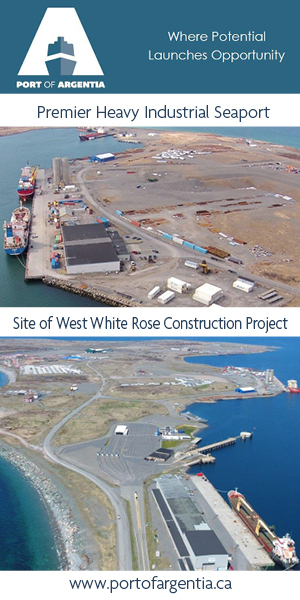 Pourboire Mecatina is a premier Atlantic Salmon fishing destination visited by fishermen from around the world. The name itself (pronounced me-kuh-TEE-nuh) originates from the word in the Innu language meaning ‘large mountain’. Canada Fishing Trips showcase the mighty rivers of the region. Mecatina boasts vast open spaces and plentiful populations of Salmon, making it a dream destination for avid anglers. Nestled the in remote, rugged, evergreen forests, far beyond the reach of modern roads and bustling communities, you will find the Mecatina Salmon Fishing Camp. Lovingly managed by the devoted Bobbitt family for decades, it affords a world-class fishing experience for new beginners and advanced, professional anglers alike. When should I schedule a Salmon fishing adventure? Luring anglers from around the globe, Mecatina, the dream of an outdoor adventurist, opens for excursions in May. Planning your trip in January or February ensures that your spot will be available and planned well in advance. Pack warm clothes and all your fishing gear. If you decide to take this amazing trip, check out the Mecatina website to ensure that you have all the gear you need. Also, communicate directly with the friendly, trained staff for insightful information about the time of year you will arrive. Temperatures in Eastern Canada range dramatically from April to October; and, take note, they call it an adventure for good reason – there will be flies! 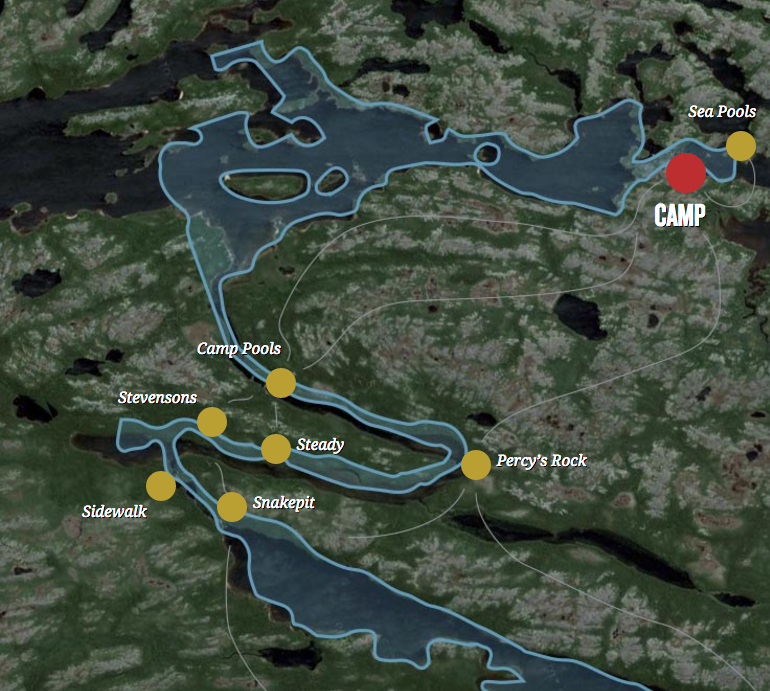 To learn more about the world-class Mecatina Salmon fishing, or to book your trip, visit mecatina.qc.ca. You can start marinating salmon in the morning and let it sit in the fridge all day. By the time dinner comes, it’ll be packed with sensuous flavours. Sesame is known for bringing out the elegant charm of Salmon. In a zip-top bag, combine garlic, Soy Sauce, Rice Vinegar, ginger, and Chili flakes. Place salmon fillets in the bag and let them marinade in the fridge for at least an hour. Pour sesame seeds onto a plate and shake the plate slightly so that they scatter into a single layer which will be used for the Salmon topping. 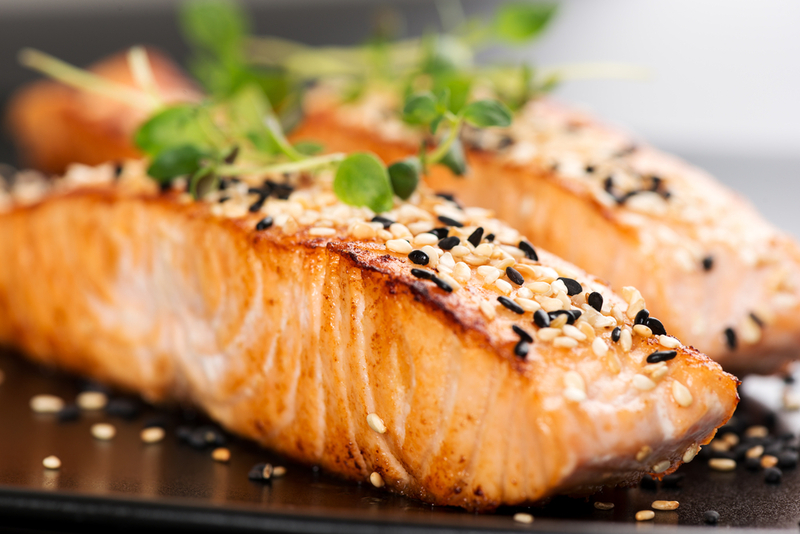 To make this topping, lay the salmon fillets face-down in the bed of sesame seeds and coat the top. Place the crusted salmon on a baking sheet lined with parchment paper. Bake for about 15 to 20 minutes, depending on thickness of the Salmon fillet. To brown and crust, switch the oven to broil for the final minute of cooking to lightly toast sesame seeds. This will bring out the sesame seeds flavour even more. Tina Olivero is the editor of TheOGM.com and The OGM magazine. 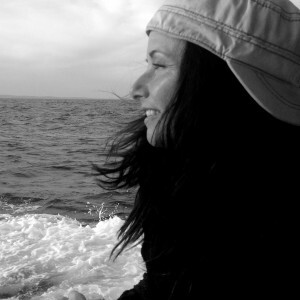 She resides in Newfoundland, Canada and has lived and worked around the globe. With a passion for progress and a sustainable future, she combines a transformative conversation that is energized and reflects our culture.